Identifying the type of fungal and insect attack is crucial, not only in stopping the problem, but also not wasting money on unnecessary treatments. Different rots require different types of treatment, so with our experience and knowledge in this area we will know exactly on how to treat the problem. One of the surveyors will carry out a survey to identify the timber issue, giving you piece of mind that you are in safe hands. 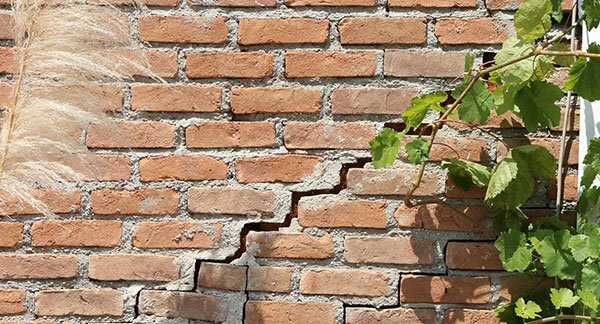 Should you notice issues with cracking in your brickwork or plaster cracking, please contact a member of our team. Structural issues is something that you should act on very quickly. Once contacted we can carry out a survey to look at your issues that the property is experiencing. Wall tie surveys are carried out and reports issued as to the condition and required recommendations. Dry rot is wood decay caused by certain species of fungi that digest parts of the wood that give the wood strength and stiffness. The depleting wood of such components leaves it in a brown brittle state, unsafe in any property. 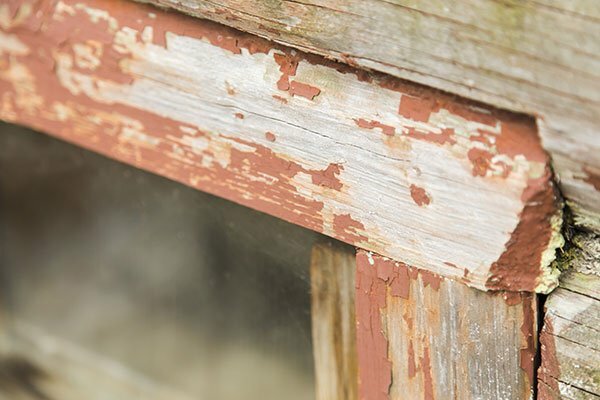 Dry rot is a severe type of wood rotting which can devastate the wood structure, turning it a brown colour and eventually reducing the timber to a dry and crumbly consistency. 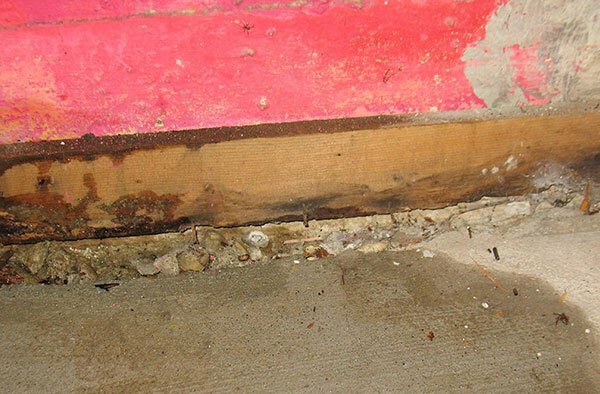 If you notice red dust forming below timber structures around your property, the appearance of white fungal mushrooms from crevices, shrunken and dark discoloured wood, or a pungent mushroom smell, then you could have a serious dry rot problem. Dry rot can arise when moisture content rises above 28%, typically caused by water leaking directly onto the wood, or if the timber is situated next to damp masonry. 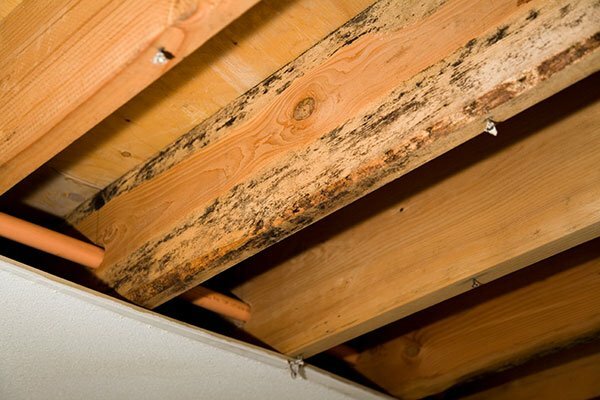 High humidity and stagnant air can also contribute to timber suffering from dry rot. Dry rot is caused by moisture ingress and dampness being present in a property; this moisture can be present due to various forms of dampness. Dry rot spores are present in the atmosphere though need the right conditions for it to start growing. Once they land on timber, they will germinate and produce hyphae (fine strands of fungal growth). These hyphae strands join together to form a mass called Mycelium that can vary in colour from grey to pure white, and these strands grow into and across the damp wood. It can also grow into materials such as plaster, mortars, bricks etc. It’s ability to grow over building materials in search for other timber is the reason that it is feared so much. It is often referred to as the cancer of buildings. We eradicate the source of damp which fuels the dry rot growth by providing you with a damp proofing solution. Our team of dry rot specialists dispose of any affected wood or plastering, removing any visible fungal growth and replacing the materials as we do so. We treat every piece of wood located in the area with a fungicidal treatment. Because dry rot is such a serious problem, it is important to treat the issue as soon as possible. Without treating the dry rot, it will live and grow, feeding off, and eventually destroying, the timbers in your property. This process will obviously have serious consequences to the structural integrity of the property. Wet rot whilst not as serious condition as with dry rot, it still can create damage to your property. 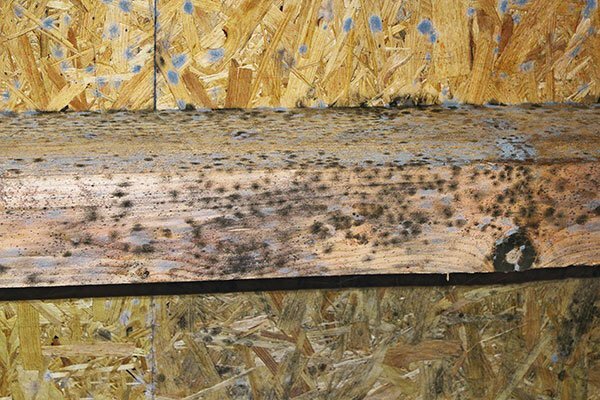 Wet rot is a generic term used to define a variety of wet rot species such as Coniophora puteana (otherwise known as cellar fungus). Fungal organisms cause the decay of timber, attacking the wood in damp environments and causing considerable damage over time. Wet rot is an umbrella term for fungi such as Coniophora Puteana, Fibroporia Vaillanti and Phellinus Contiguus, which are all threats to timber. These fungi can crack the wood and through continued growth, worsen the situation. The reason these types of fungi appear can be due to high moisture content being present around the wood from insufficient damp proofing methods. Things such as condensation and lateral damp can encourage these micro bodies to develop into large harmful groups of spores which can be hazardous to not only your property, but also your health. Wet rot generally starts due to issues such as faulty plumbing or poor ventilation to the sub floor area (void beneath the ground floor timber floor). As the timber starts to absorb the moisture it allows fungal spores to start growing. If left to grow, wet rot begins to remove the strength of any timber it is affecting, resulting in timbers becoming structurally unsound. 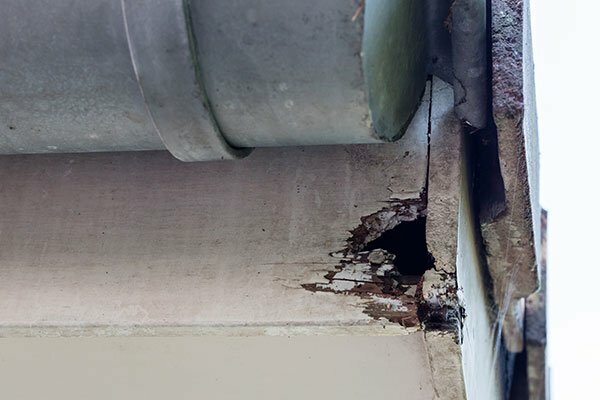 It is for this reason it is always important to act when you see wet rot. We can offer damp proofing solutions which will ensure that any wet rot problems are resolved, and moisture content in the timber reduces significantly. Our team can remove any weakened wood, and re-strengthen any areas that may have encountered rot damage. We will treat any of the wood we replace and any existing wood with a solution which protects it against future fungal infection. All invade and consume wood, and then leave when they have reached maturity. 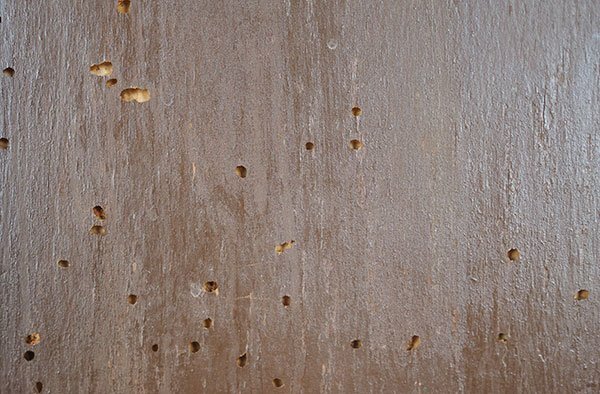 It may not be clearly evident that you have a woodworm problem damage becomes visible, so early identification is key before they cause more harm. If the infestation is not treated then this attack will seriously weaken timber – leading to structural failure of timbers. Our team of specialist insect exterminators have the equipment and skills to completely rid your wood of any harmful pests. Our water based treatment can be applied directly to the problem to eliminate the insects and provide a protective coating to stop a reoccurrence of the issue. We also use ‘fogging’, which allows the termination to take place without the removal of carpets and floor boards, and we can have the room ready to use in just 2 hours. Structural wood can become weak and brittle which puts the safety of inhabitants at risk, as the timber could snap and the structure may completely collapse. Bore holes are visible on the surface of the wood, and traces of bore dust litter the area, making your building unclean and also unsafe. 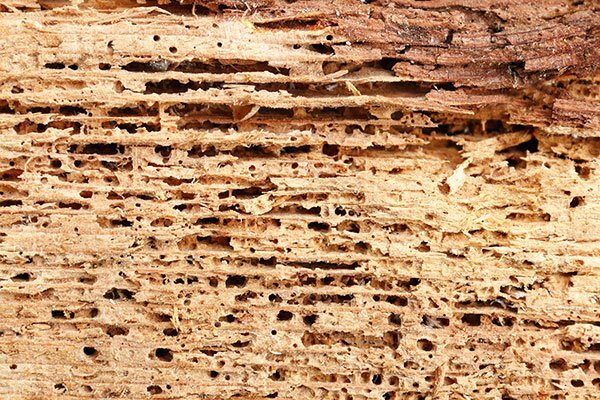 Woodworm can burrow into your timber structures and begin to disintegrate your wood. This is the most common of damaging pests; it creates a habitat within the wood and lays eggs which produce larva that burrow through the timber for 2-4years. Holes in the timber, bore dust, exposed tunneling which occurs in severe cases and fungal decay resulting in structural damage to the building. This pest leaves your wooden structures vulnerable to weakness and potential collapse. The death watch beetle is a major threat once established inside wood. It is often found living in hard wood, with oak being particularly vulnerable to attack. This is where its name is derived – thanks to its preference to old wooden beams situated in churches, and also the tapping noise it makes as a mating noise. Holes and grooves on the timber’s surface, and often the presence of fungal decay. The internal structure of the wood becomes weak and susceptible to collapse if any pressure or force is applied to it. 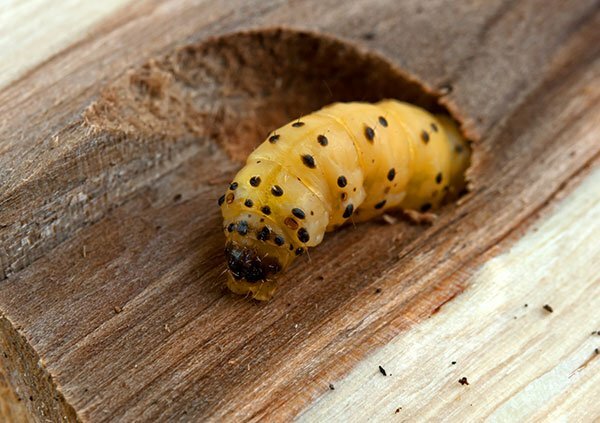 The house longhorn beetle, the wood boring weevil and the lyctus powderpost are other wood pests that pose major risks to any piece of wood within your building. If the insect becomes established in the material, it needs to be completely eradicated as soon as the problem is discovered to prevent any further damage. Dead beetles – Usually found near the infested timber or around nearby windowsills. Adult beetles – They emerge from timbers between May and October. Holes in timber – Round or oval shaped with sharp edges, the holes will appear clean and fresh. Tunnels in wood – (galleries) These are often hard to see. 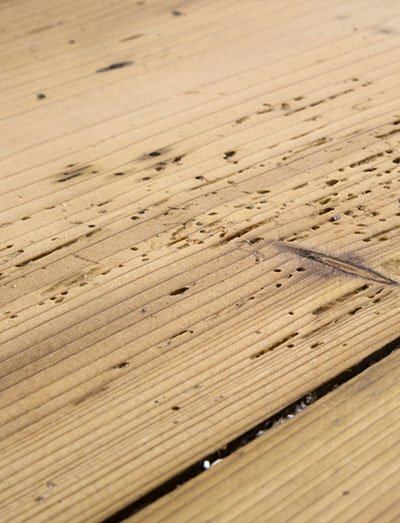 Bore dust – (frass) Caused by emerging adult beetles, usually visible below the infested timber. Weak and soft floorboards – In extreme cases, due to the severity of the attack the floorboards go through. Wood that crumbles – often to the corners or edges to roof joists or floorboards. Cavity wall ties are an essential part of any building. Their job is to tie together the visible protective outer cavity of brickwork or blockwork of a building to it’s structural and load bearing inner masonry skin. Why cavity wall ties start to fail is that in most cases this will simply be age. Over time the mortar bed between bricks or blocks that each wall tie is set into changes on a chemical level due to carbonation. Through this the mortar itself begins to attack the wall ties and cause a build-up of iron oxide (or rust as it’s more commonly known). As each tie oxidises, layers of rust are formed and expand outwards, pushing apart the mortar beds and causing visible cracks. The main causes surrounding these internal and external wall issues are the mild steel ties which are commonplace in a lot of houses that were built pre-1981. These particular ties are susceptible to intense corrosion and will begin to fail at some point. Their failure could be present in your walls now, or it could become a problem at a later date. Failure of these ties eventually leads to distress of cavity walls, and action may need to be taken to prevent your walls from suffering any further damage. 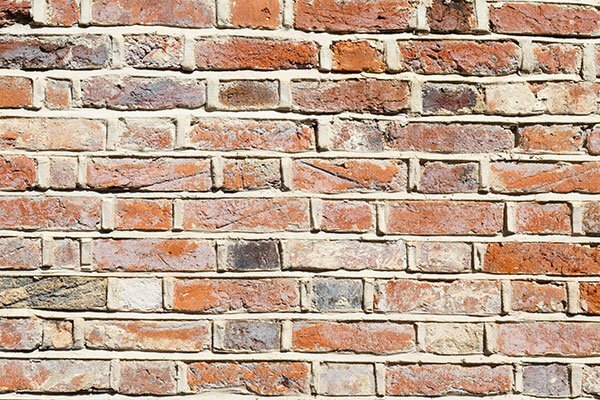 Faulty wall ties can cause horizontal cracks and bulges to appear in your brickwork and even your outer cavity wall to completely collapse. 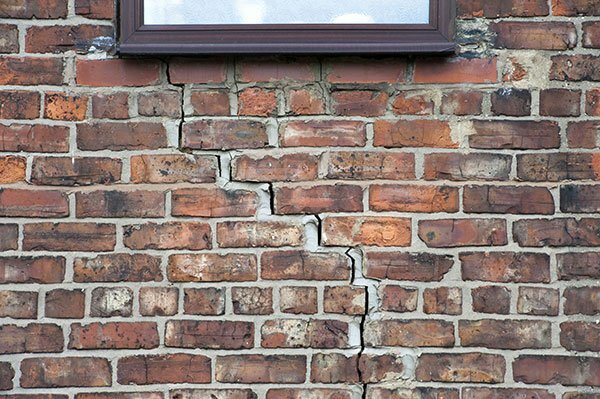 If you feel that your property is suffering from wall tie failure then you should organise a survey. We will call to the property to inspect the condition of the wall ties. Once the tie has been located we will be able to see if the tie is corroding, and whether the tie needs isolating or removing. New wall ties are then installed that can be mechanically or resin installed. Here at Damp Nation, our team of cavity wall specialists use a metal detector to locate each and every cavity wall tie. Once located, we use an endoscope to examine their condition and, if we feel further examination is necessary, we will extract a single brick for closer inspection of the tie. We have a range of stainless steel wall tie options which have the properties to resist any future threat of corrosion and can sustain adequate service for a lengthy period of time. The ties will also be fitted, depending on the condition of the masonry involved, by way of a mechanical or a resin based method. Over time, buildings can suffer from damage from a number of different causes including weathering, subsidence and building work. This may mean that the masonry work may need stabilizing to prevent the building from incurring further damage, which could potentially make it unsafe. One of the types of masonry repairs are horizontal cracks or step cracks. Insufficient restraint – Lack of wall ties, restraint straps, poor bonding, etc. 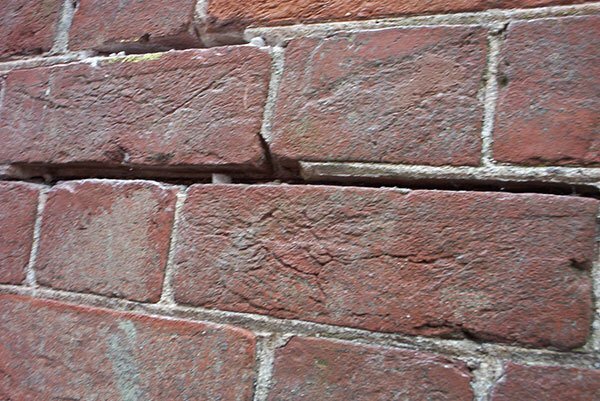 Inadequate support – Localised foundation failure, lintel failure, masonry arch failure, etc. 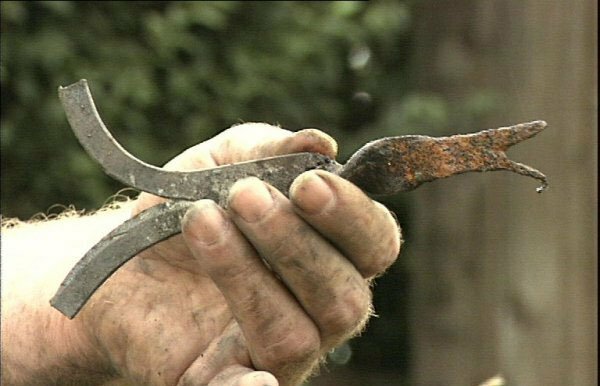 Rusting metals – Wall tie corrosion, expansion of hoop irons or fixings, etc. Sub-structure repairs typically are underpinning or piling. Superstructure reinforcement generally includes structural repairs accomplished by the insertion of helical bars that form retrofitted brick beams or are used for crack stitching. Replacement wall ties and restraints tie cavity or separating façade walls whilst resin injection systems efficiently fill and seal cracks in walls. We will carry out a structural survey on your behalf to determine the cause the defect that will then determine the work that is to be employed. Structural calculations are made to correctly identify the material type to use. Here at Damp Nation we are experts in masonry stabilization and building maintenance. 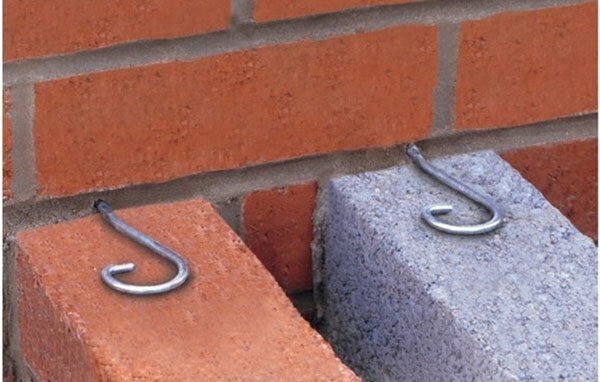 Our team of building work specialists can repair any number of external building damage using our Helical Systems masonry reinforcement products. These are the highest quality building work reinforcement products on the market, allowing for convenient stabilizing work to take place on your property at affordable prices. The vast majority of homes in the UK have a common bond, mortar. Bricks, stone blocks, and other masonry units are typically laid in a bed of mortar. One of the roles of mortar is to file the gap to protect the structure from water penetration. As the structure ages the weather starts to soften and become absorbent, allowing water to enter the structure that we often call weathering. 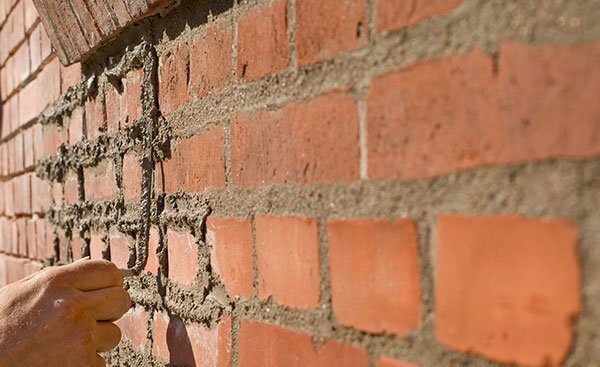 Repointing is the process of renewing the ‘pointing, which is the external part of mortar joints, in masonry construction. Over time, weathering and decay cause voids in the joints between masonry units, usually in bricks, allowing the undesirable entrance of water. Water entering through these voids can cause significant damage through frost weathering and from salt dissolution and deposition. grinders, hand tools and power tools rake out the mortar. The area is then clean so that new mortar is installed. There are different types of pointing styles such as weather pointing, bucket handle to name a few. Often once the wall has been pointed we recommend treating the masonry with a waterproof cream. Need a quote for your property?